Take a bit of history, some classic vintage footage, throw in some jaunty piano with a carefree bar crowd, and you've got Detroit '67 by Sam Roberts. This isn't the first time that Sam has popped up in my Inspired Singles or on this blog - I saw him in Regina a few times, and he performed at the university for welcome week one year. With his signature folk rock sound, Roberts tells a story of Detroit in its heyday with almost care-free poetics that make you revel in both the history of Motown and the song itself. 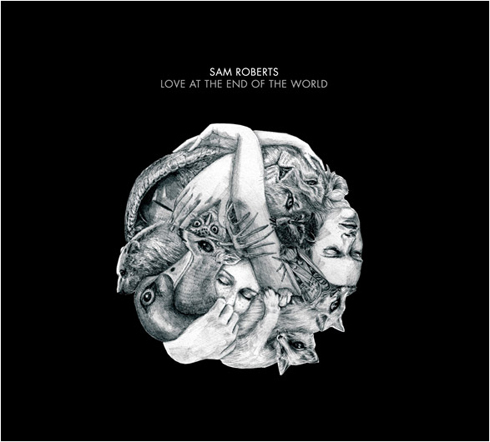 Love at the End of the World is the third studio album from Roberts, and quickly became one of my favorites when it came out in 2008. With Detroit having faced such a dramatic economic shift, more on that here, I just love the nostalgia and optimism of this track - that, and the music video is a work of editing art.